If you look at healthcare organizations who are leaders in delivering safe, patient-centered care, there’s a common thread. They place a premium on creating great teams.1 Across healthcare, these teams represent thousands of doctors, nurses, anesthesiologists, and others who, despite vastly different skill sets and training, come together every day, assume their roles at the patient’s bedside, and perform nothing short of miracles in giving back patients their lives. Laerdal is honored to support many of these teams as they train today to outperform themselves tomorrow. Using simulation, these teams can push, test, and come to know themselves in ways that give them a profound edge before they encounter a real patient. Improving patient safety is a team sport. Historically medical education has served a singular purpose: to produce experts licensed in their clinical field. Only recently have major institutions challenged whether that licensure qualifies experts to work effectively within a team.7 Findings show that multidisciplinary team training leads to better teamwork and communications, especially in emergency or time-critical situations. It’s a paradox in healthcare that the many disciplines that must come together daily to treat patients all train separately during school and during continuing education. The following takes a deeper look at why this is a problem. The realities of hospital operations are that rigidly assigned teams are a rarity.8 Teams are often based on who’s on schedule, the nature of the case at hand, and so on. Consider this real world example: a patient suffers an obstetrics emergency. The hospital has 208 staff members that make up the 6 disciplines necessary to form the critical event team that will respond.9 How many team combinations are possible? The answer is 381,000,000. That’s how many team combinations in this hospital could come together to respond to a single obstetrics emergency. 81 x 50 x 16 x 12 x 14 x 35 = 381,000,000. See the table below. How many team combinations could come together in your organization to respond to a patient emergency? The numbers can be staggering. Multidisciplinary teams don't have to be permanently assigned to be great teams! Organizations that build great teams approach the problem by focusing on the cognitive and interpersonal competencies that create great teams regardless of what combination of people is assigned to a case.12 These organizations train their staff in team “systems” like TeamSTEPPS®, Crew Resource Management (CRM), or ones they've developed on their own. And, they reinforce that system through process design and carefully communicated expectations. Everyone is trained to conduct teamwork and communications to the same standard. This becomes especially critical in emergency situations where inconsistencies in approach and expectations can manifest themselves in the form of confusion, delay in action, and even a complete breakdown in team performance. The result for the patient can be disastrous. As a high-stakes/high-risk industry, healthcare is still a relative newcomer to using simulation to improve team performance. Aviation and the military are among the pioneers in using simulation as a prerequisite to building effective teams. And, the evidence is clear in those sectors that simulation leads to improved team effectiveness, better mission outcomes, and reduced risk. Where the same techniques have been applied in healthcare, the results have been very much the same. That may come as surprising advice from one of the world’s leading providers of patient simulators. But, it’s been validated time and time again that focusing first on your training and education objectives and not on which simulator to choose is the best path to success. Imagine a situation where you are trying to train a multidisciplinary team in the fundamentals of applying TeamSTEPPS®, CRM), or possibly the QSEN competencies. If your training and education objective is to ensure that the learners are all comfortable applying sound communications and teamwork tools, an advanced simulator may not add to the experience. In fact, it could detract from it. We have seen great team training occur using a basic manikin or even a task trainer. If, however, you wanted to give that same multidisciplinary team the experience of applying their newfound communications and teamwork skills in a real world setting where they will be measured against their patient’s response to emergency interventions, a high fidelity simulator is essential. So will be an appropriately written scenario and a video capture system for debriefing. Allow the problem you are trying to resolve and your desired result determine your choice of a simulator, not the other way around. One of the fundamental obstacles that our clients often say they face is the lack of infrastructure to house and support a large simulation program. In situ simulation proves that a large infrastructure is not essential – and a large infrastructure is never a substitute for simulation best practices. 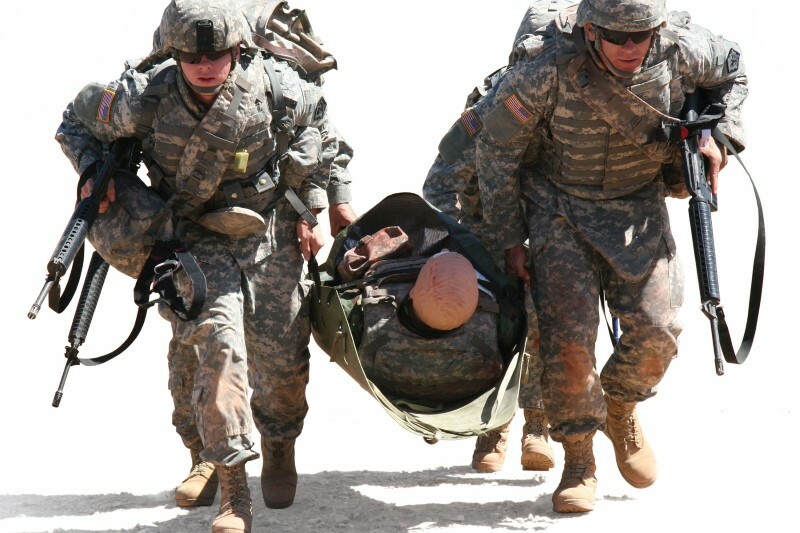 In situ simulation promotes training efficiency since it occurs during the actual workday, utilizing staff while they are on duty without the need to backfill or schedule training days. And, it can be conducted with minimal resources and investment beyond what’s essential to get the job done. The most important resource needed? A local champion. Consider looking at your team training objective in the context of what your teams experience at the patient’s bedside. Identify the teamwork and communications deficiencies that occur routinely then and there. Looking at problems this way from an in situ perspective and then creating an in situ simulation in response can be an effective means for gaining the results you want to achieve – in the very place where you want the learning applied. Laerdal’s mission is helping save lives. 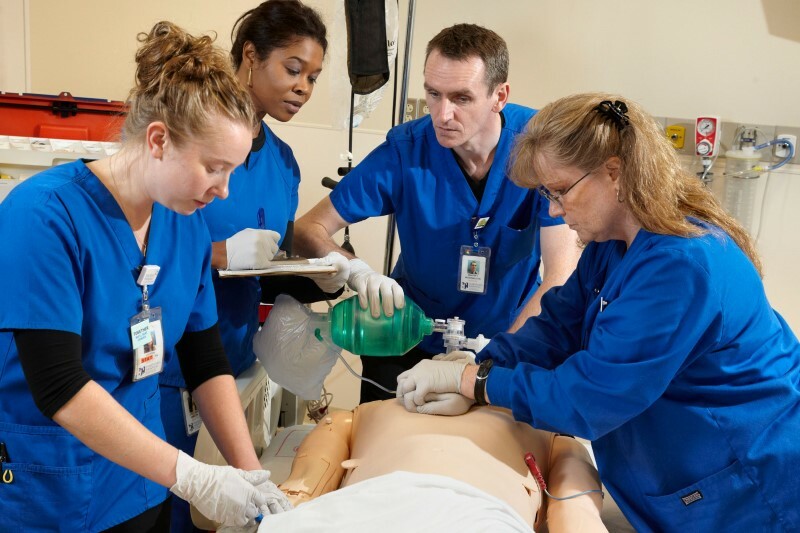 One way we do this is by equipping providers with the best possible means for conducting simulation where the challenges to improving patient safety most often occur: among and within teams and in your real world environment. If you need help, please contact us. Teamwork a Key Feature of Patient Safety Improvement Program. Navigating the Health Care System: Advice Columns from Dr. Carolyn Clancy, October 2, 2012. Agency for Healthcare Research and Quality, Rockville, MD. 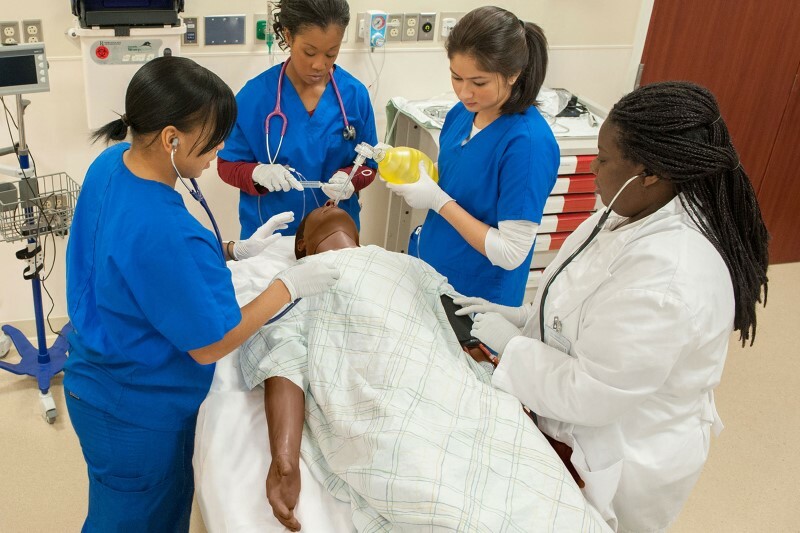 McCaghie, W., Issenberg, B., Cohen, E., Barsuk, J., Wayne, D., June 2011, Does Simulation-based Medical Education with Deliberate Practice Yield Better Results than Traditional Clinical Education? A Meta-Analytic Comparative Review of the Evidence, Acad Med. 2011 Jun; 86(6): 706–711. Patterson, D., Blike., George, Nadkarni, M, (2008) In Situ Simulation: Challenges and Results. Advances in Patient Safety: New Directions and Alternative Approaches (Vol. 3: Performance and Tools). Agency for Healthcare Research and Quality (US); 2008 Aug.